The christian life is intriguing — in one sense we’re running an individual race, in another sense it’s about community. “Work out your own salvation with fear and trembling” — Philippians 2:12. That’s personal. “Not neglecting to meet together, as is the habit of some, but encouraging one another…” — Hebrews 10:25. That’s community. In Christian leadership, I’ve found both verses to be foundational to ensuring we are faithful to what God has committed into our hands. Our personal christian journeys thrive most when we plug ourselves into communities of like-minded disciples of Christ. In most cases, we make little progress in isolation. As I’ve read in recent weeks, months and indeed over the years about numerous scandals (money mismanagement, sexual immorality, failed marriages, etc.) involving Christian leaders, the topic of accountability remains paramount on my heart. 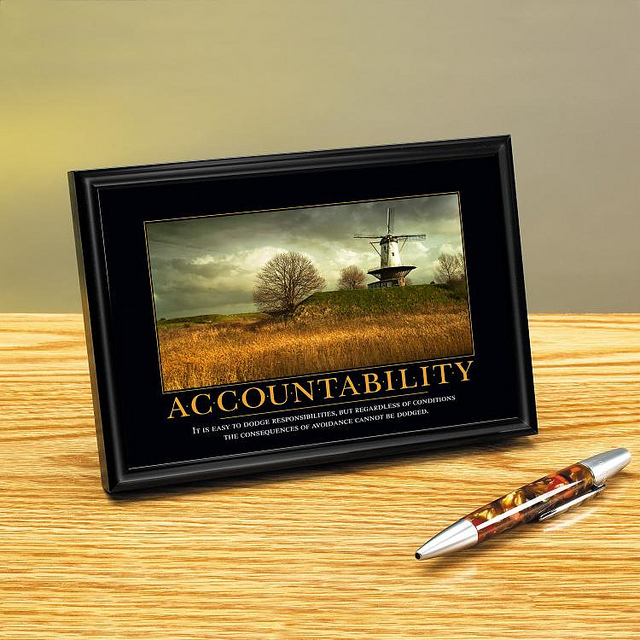 Accountability, for me, seem to be the missing link in many churches and ministries. Lack of spiritual, financial and personal accountability can make leaders easy prey to the devil. In a generation where building an empire is more important to some christian leaders than the core of the gospel, it’s no surprise to see the turn of events in our time. Rather than make disciples of men and prepare people for heaven, we are often more concerned about increasing the financial footprint of our empires and facilities. This is a sign of spiritual slumber (Matthew 26:41). Herein lies the problem: accountability is paradoxical and counter-productive to a selfish desire to “do your own thing”. You must be accountable to a core few, whether it’s in your cell group, to your local pastor, church elders or to another Christian(s). Make it objective. Of course, married folks are already accountable to each other. But take it a step further, whether you’re in ministry, position of leadership or not. Take it seriously. I’ve surrounded myself with godly men and women I confide in when critical decisions need to be taken. I challenge you to find those core people and be accountable to them. Our personal christian journeys thrive most when we plug ourselves into communities and become accountable to others in the spirit of humility. Find your community. Be accountable.